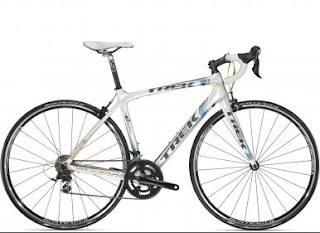 199 Trek Bikes, 2012 or Earlier, Have to Go to Make Room for New 2013 Treks Arriving NOW! Now would be the perfect time to buy a bike. October of each year, our stores just can't hold any more product, and we have to move out the prior model year bikes. If you were thinking about a bicycle for a Christmas gift or any other reason, you'll save a pile of dough by making the purchase now. The sale will continue until the bikes are gone. However, there are very limited supplies, with only one or two bike of each model/size. So the sale is limited to ON HAND inventory. Here is a special link to a Google Drive Spread Sheet that is not available to the public. Only to those with the link. This give you an advantage, so head over to the shop closest to you and secure your bike. We have many videos up at our YouTube channel that review the bikes on this list. Check those out if you'd like to learn a bit more before you buy.